Fans of the DOOM series will soon be able to try out the game’s multiplayer mode thanks to an open beta which will be held next week on all formats. Some have already been able to try it out with a previous closed beta, and some of these users have reported that the beta client has been updated a few hours ago. 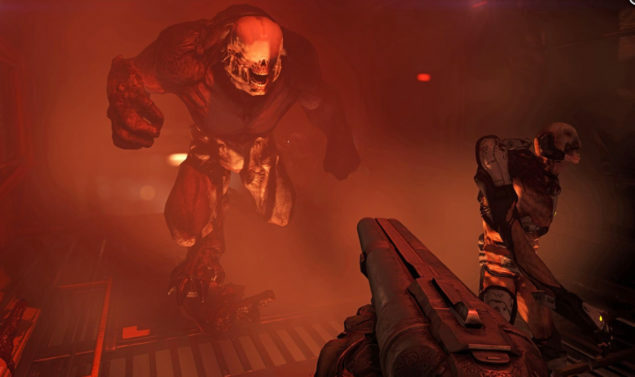 According to a few online reports, the new DOOM beta update adds some new options to the game. Interestingly enough, the PlayStation 4 update adds a FOV slider option. The new update also adds an option to disable damage numbers. Unfortunately, we don’t know if anything else has been added, or if the FOV slider is also available on the Xbox One version, but we will surely learn more about it soon. A few days ago, Bethesda confirmed in a press release that the already mentioned DOOM open beta will be held soon. From April 15th until April 18th, players will be able to access Team Deathmatch and Warpath on the Headtwave and Infernal maps. The publisher has also shared more on DOOM’s post launch support, with id planning to offer content updates for SnapMap, such as map modules, props and objects, as well as new multiplayer game modes. All this content will be released for free, while additional new maps, hack modules, playable demons, weapons and more will be offered as paid DLC, with the first DLC pack launching this Summer. DOOM launches on PC, PlayStation 4 and Xbox One on May 13th in all regions. We will keep you updated on the game and the soon to begin open beta as soon as more comes in on it so stay tuned for all the latest news.